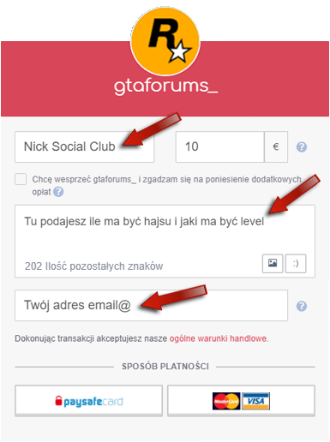 Temat na forum 'Giełda' rozpoczęty przez Asaxo™, Czerwiec 5, 2018. In the world of Los Santos, rule the richest and the most powerful. Full Modding allows you to without a doubt to take over the city of crime. In no time you will join the the bosses of Los Santos. Your power will terrify the other players when they see the high rank of your player. If not, you may always take use of the wealth provided by Full Modding and show them where they really belong. This package will provide you with respect in Los Santos, and a functioning in GTA Online, for years to come. Thanks to the Full Modding Packs you can lead your business even more in the criminal City of Los Santos. The father modding pack brings you 4 prestige packs which will take your game to another level. The Criminal pack for 20€ offers a sum of GTA$ 250 000 000, which allows you to organise a neat arsenal of weaponised vehicles - Tampa, Hydra, Oppresor, Akula ect.. The rest you can spend on Stills available in GTA Online such as - CEO Offices, Facilities, Bunker. also you will receive 250 Level of RP and the best stats available, and unlocked everything in the game. Thanks to investments like these you will be able to become a known character of GTA and a criminal mastermind Boss. The most expensive, yet the most effective. The Elite Pack to specifically add Funds and RP for 30€. Thanks to this, easily you will become the boss of GTA Online. With the large sum of GTA$ 350 000 000 you can buy stills, the best and most expensive vehicles - eg. gold plated jet, Ruiner2000, Lazer, Rocket Voltic and many more. These will allow you to take a big advantage over other players. The rest of the money can be used to to spend on ammunition to your rifles, and chaos-bringing Orbital cannon strikes. I don't think its needed to mention that in the Elite Pack you will also receive RP Level 250 and every stat and item unlocked. Pick a pack that suits the needs of expanding your portfolio. you only started playing GTA Online? Your account has been reset? or maybe you spent all your money and need some fast for a new DLC? With help come the new Full modding Packs. Take over the criminal city of Los Santos right now. Even GTA$ 300 000 000 can be added to your bank account for just 10€ in the promotion of full Modding without the Stat and RP levels. Just money. To make use of the offers, type in a private message the details of logging onto the social club account. For your account to be modded fully, pay the requested fee of the corresponding Pack. Fill out the needed sections. in your name type your Social Club name, which will be modded. In the contents of the Donation type the requested pack, to be used to modify your account. Account info in the instance of Steam, send through a private message with the details to the platform, and disable steam guard for the time of the modding.